Abstract Brilliance - Abstract Truth! Denny Jump (Bellevue, WA, United States) on 2 May 2014 in People & Portrait. None of these fine young men is the "usual" sort! Each one is, brilliant in his own abstract way. Each is finding his own way quite nicely and each one has deep concern and love for others....(proof that their hearts are in the right place)! 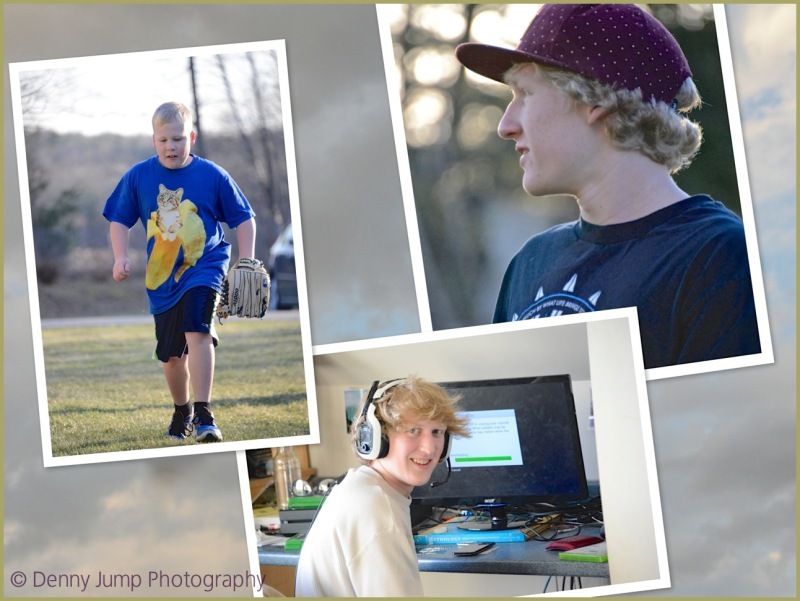 Tyler, on the upper right, is considerate, a comedian/musician//athlete/ and so very spontaneous...and he is an excellent cinematographer and photographer as well..
Ryan, on the center left, is the youngest but he is meticulous, and SO exacting! An excellent debater- he will wear you down. A great student and athlete as well, and a deep thinker. Justin on the bottom left is our AM3 Blog pal! He will graduate from high school in June. He is articulate/artistic/intelligent (Very intelligent) and a brilliant and artistic photographer. If you will allow me any of my own wants, or emotions, or beliefs, or actions, then you open yourself, so that some day these ways of mine might not seem so wrong, and might finally appear to you as right - for me. To put up with me is the first step to understanding me. Not that you embrace my ways as right for you, but that you are no longer irritated or disappointed with me for my seeming waywardness. And in understanding me you might come to prize my differences from you, and, far from seeking to change me, preserve and even nurture those differences. This is wonderful Denny! The portraits are fantastic! All three sound like wonderful young men! I hope that you are doing well. Sweet shots of these wonderful young men. Fine images and words in tribute to your grandsons. I hope we leave them a world worth inhabiting.